My previous articles commenced a series on the rapture of the church. We began with the question, "What is the Rapture?" This question can best be answered by noting ten truths about the rapture from 1 Thessalonians 4:13-18 and 1 Corinthians 15:50-58. We then moved to a second main question, namely, when will the rapture take place relative to the coming seven-year Tribulation period? We offered the contention that believers can develop certainty that they will be raptured before the Tribulation period occurs for at least seven reasons. Now that we have dealt with these two questions, we began to explore some of the weaknesses associated with the other competing views that seek to answer the question, "when will the rapture take place relative to the coming Tribulation period?" At least five differing perspectives exist. We noted at the onset that it is important to understand that all of the non-pre-tribulation positions have a difficult time handling the seven arguments favoring pre-tribulationalism previously discussed in this series. We have already noted the problems associated with mid-tribulationalism. In the last few articles we began to scrutinize the arguments favoring post-tribulationalism. In this article, we will continue to scrutinize post-tribulationalism. 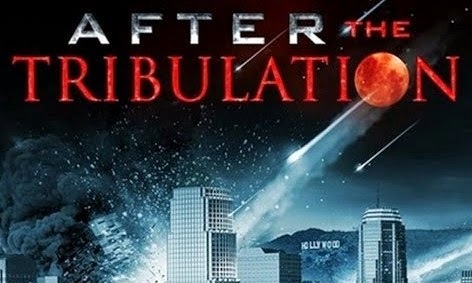 Post-tribulation rapture theory contends that the rapture will take place at the end of the coming Tribulation period. This view typically sees no distinction between the rapture and the Second Advent and thus seeks to harmonize all references to Christ's return as taking place at the end of the future Tribulation period. Those adhering to the post-tribulation rapture typically rely on at least one of four arguments to support their position. In our last two articles, we noted that post-tribulationalism errs in superficially connecting Paul's depiction of the rapture (1 Thess. 4:13-18; 1 Cor. 15:50-58) with the events of Matthew 24:30-31 and Revelation 20:4-6. We now move on to the third argument that post-tribulationalists use to support their view. 3. Although the church is exempted from God's wrath, the church will be on the earth during the entire Tribulation period because the Book of Revelation portrays God's people being supernaturally protected from many of the apocalyptic judgments during this time period. While conceding that the church is exempted from God's wrath, the post-tribulation rapture view assumes that the church will still be on the earth during the Tribulation period while being exempted from many of the divine judgments. This assumption exists because the Book of Revelation often portrays God's people as being supernaturally protected from many of the apocalyptic judgments during the Tribulation period. For example, Revelation 9:4 says, "They were told not to harm the grass of the earth or any plant or tree, but only those who did not have the seal of God on their foreheads." Revelation 16:2 similarly says, "The first angel went and poured out his bowl on the land, and ugly and painful sores broke out on the people who had the mark of the beast and worshiped his image." Thus, according to post-tribulationalism, just as God supernaturally protected the nation of Israel from the various plagues as recorded in the Book of Exodus (Exod. 8:22; 9:4, 6; 10:23; 11:7), God will do the same thing for His church in the midst of the Tribulation period. The post-tribulationalist uses this explanation in order to harmonize the conflicting notions of the church's presence on earth during the Tribulation with the divine promises exempting the church from God's wrath (1 Thess. 1:10; 5:9; Rom. 5:9; 8:1). True, both Revelation 9:4 and 16:2 teach that believers on earth during the Tribulation will be exempted from the fifth trumpet and the first bowl judgments. However, these are the only verses which specify that God's people will be spared from any Tribulational judgments. The implication is that believers will still experience the suffering described in the Book of Revelation. Thus, it is inaccurate to suggest that if the church is on the earth during the Tribulation period it will be spared from God's wrath. If this were not so, then the massive martyrdoms during this time period are inexplicable. Notice how the Book of Revelation consistently portrays the frequent martyrdoms that believers during the Tribulation will endure as a consequence of Christ opening the first seal judgment, which will usher in the diabolical reign of the Antichrist (Rev. 6:1-2; 2 Thess. 2:9-12). Revelation 6:9-11 says, "When the Lamb broke the fifth seal, I saw underneath the altar the souls of those who had been slain because of the word of God, and because of the testimony which they had maintained; and they cried out with a loud voice, saying, 'How long, O Lord, holy and true, will You refrain from judging and avenging our blood on those who dwell on the earth?' And there was given to each of them a white robe; and they were told that they should rest for a little while longer, until the number of their fellow servants and their brethren who were to be killed even as they had been, would be completed also." Revelation 7:9, 13-14 similarly says, "After these things I looked, and behold, a great multitude which no one could count, from every nation and all tribes and peoples and tongues, standing before the throne and before the Lamb, clothed in white robes, and palm branches were in their hands... Then one of the elders answered, saying to me, 'These who are clothed in the white robes, who are they, and where have they come from?' I said to him, 'My lord, you know.' And he said to me, 'These are the ones who come out of the great tribulation, and they have washed their robes and made them white in the blood of the Lamb.'" Revelation 13:10 echoes this same theme when it says, "If anyone is destined for captivity, to captivity he goes; if anyone kills with the sword, with the sword he must be killed. Here is the perseverance and the faith of the saints." Revelation 13:15 also says, "And it was given to him to give breath to the image of the beast, so that the image of the beast would even speak and cause as many as do not worship the image of the beast to be killed." These prophesied wide-scale martyrdoms simply cannot be reconciled with any prophetic theory that places the church on the earth during the Tribulation without experiencing divine wrath as a consequence of Christ opening the first seal judgment. In sum, having previously answered the question, "What is the Rapture? ", we noted at least seven reasons that affirm the pre-tribulational rapture view. We then began interacting with the other positions on the timing of the rapture. In this article, we noted that post-tribulationism errs in failing to acknowledge that although believers will be exempted from some of the judgments during the Tribulation period, they will still experience many other judgments during this same time period.